Chatting Over Chocolate: Five Loves on Friday & a BIG ANNOUNCEMENT! 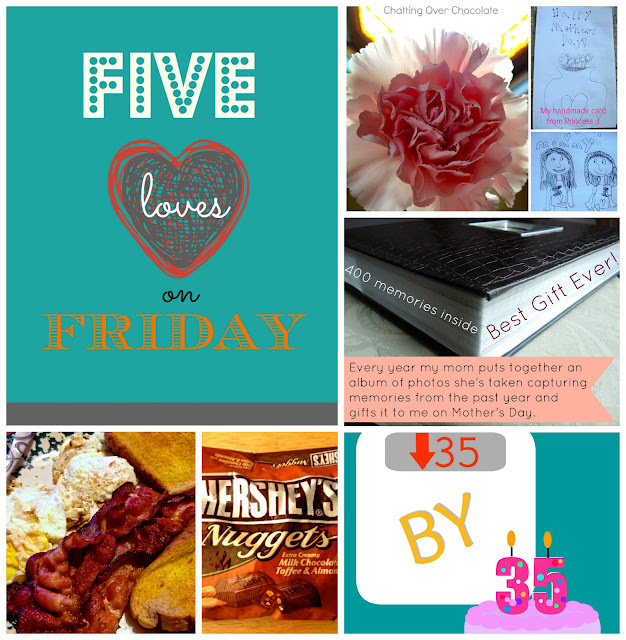 Five Loves on Friday & a BIG ANNOUNCEMENT! Happy FRIDAY, friends! I hope you've all enjoyed a terrific week! I couldn't be more excited to share the highlights of mine with you now ... including the announcement of a NEW blogging series coming SOON! 1. 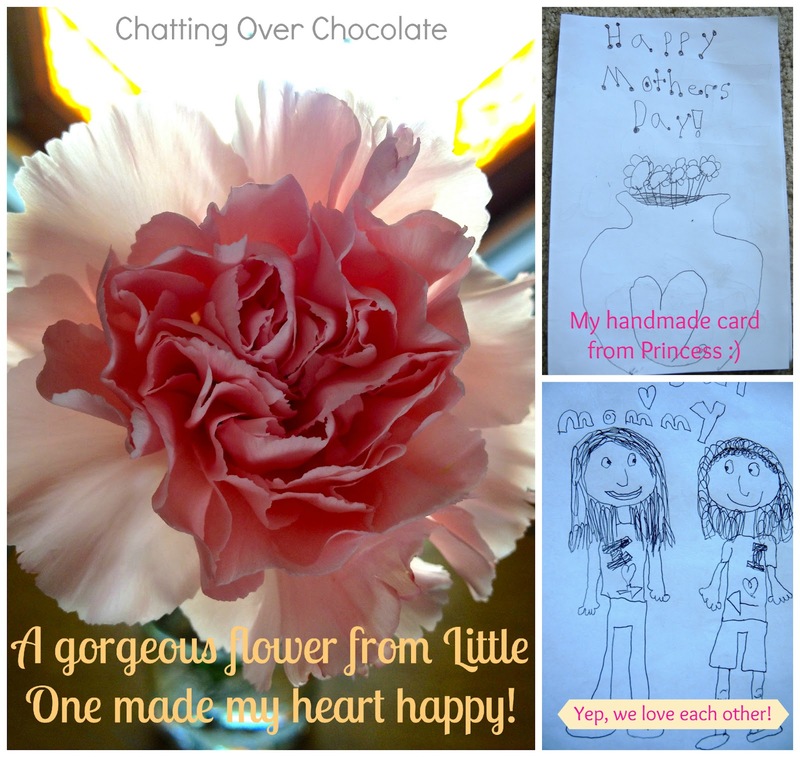 Floral goodness & a handmade, heartfelt card. My children melt my heart! They are such precious gifts from God! 2. I love my mom! She is so sweet and thoughtful, she actually gives me gifts for Mother's Day! For the past several years she has taken photos all throughout the year, at major celebrations like holidays and birthdays, as well as the little moments like an afternoon spent baking cookies with the grandkids, or an evening of "Grandma and Grandpa" playing board games with our girls. In celebration of Mother's Day she gifts me a PRICELESS photo album containing these treasures! This year was a bit of a tear jerker as my Grandpa (who was my last living grandparent) passed away last Summer. She put a photo of him on the front cover and half of the album contained those last celebrations with him. I'm so thankful to have all of these precious memories gathered together in such a beautiful way. Thank you mom from the bottom of my heart! I know the albums are a lot of work, and I appreciate each one you've given me throughout the years. They are some of my most prized possessions! As if that weren't MORE than enough, she also gave me two baskets of goodies! One basket was adorably decorated with Disney characters and contained all sorts of yumminess from which my hubby, girls and I enjoyed our first cookout of the year from! So fun! The second basket was filled with beautifully scented shower goodies. I seriously felt like it was my birthday! Thanks for everything, Mom! 4. A sweet treat and an even sweeter surprise. 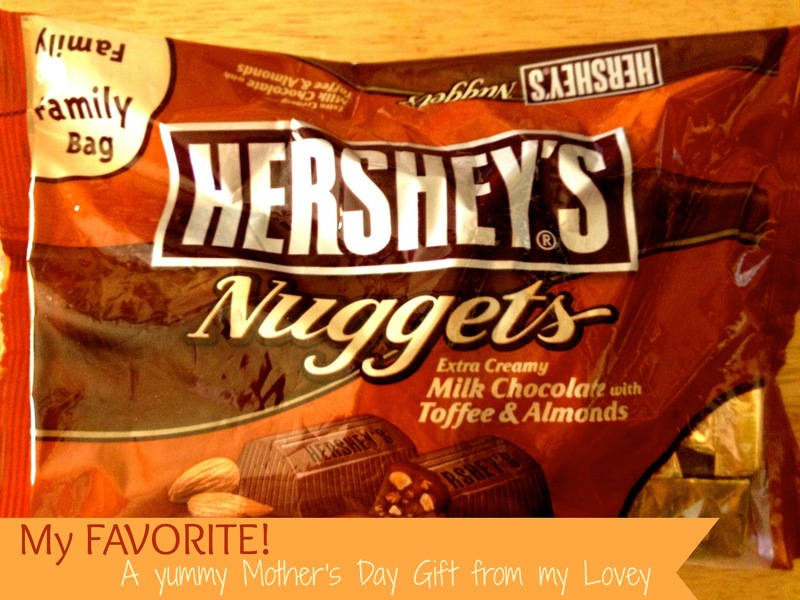 Hershey's Nuggets with toffee and almonds are my FAVORITE! My Mr. bought me a "FAMILY SIZE" bag of these tempting treats. I did share with my family. A little. ;) Far better than chocolate (I never thought I'd speak type those words! 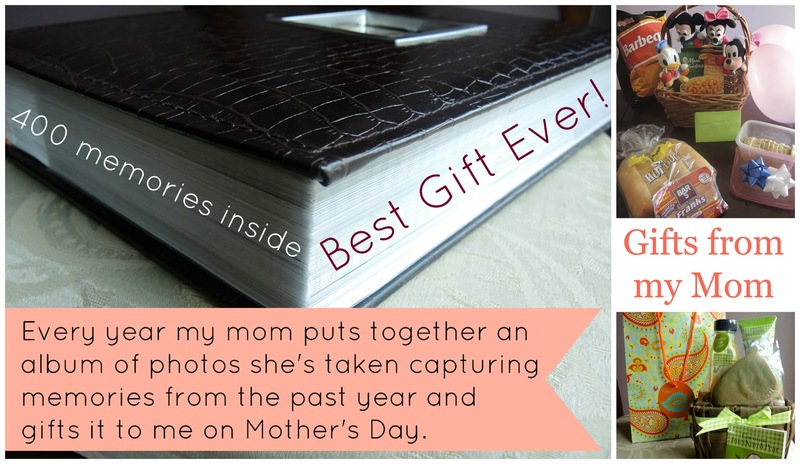 ), was the fantastic surprise that followed Mother's Day! My hubby took a vacation day on Monday to extend our family time and the Mother's Day festivities!! I cherished every moment of those two glorious days of celebrating. We played games, laughed, enjoyed on some delicious meals (all of which my husband cooked! ), and just relaxed while enjoying each other's company. Time spent together is a better gift than money can buy!! 5. I'm beginning a NEW blogging series, "35 by 35! ", on Thursday! I have set a goal of losing 35 pounds by my 35th Birthday! I look forward to sharing this journey with you all! The series will be a great source of both motivation and accountability for me. I hope it will also be a source of encouragement and inspiration to any of you, my dear friends and readers, who may also be in a similar situation, wanting to get into better shape and feel well! Each post will include weight loss tips, food finds, and much more! 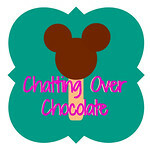 I'd be tickled pink if you stop by to check it out! Stopping by from H54F. Good luck on your 35 challenge! What priceless gifts your received from all of your loveys!! 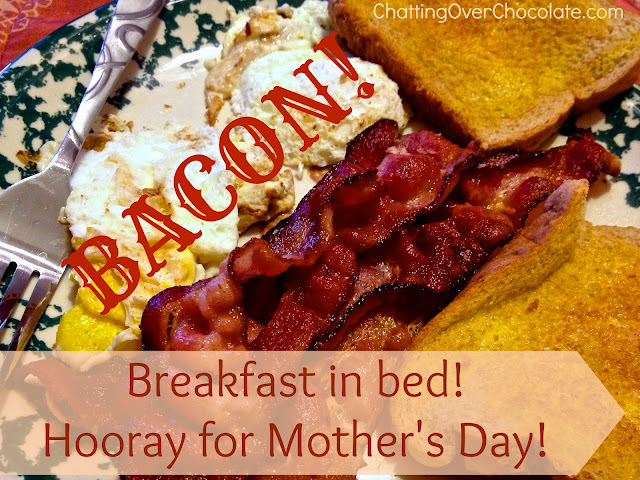 So glad you had a wonderful Mother's Day (and extended celebration!!) 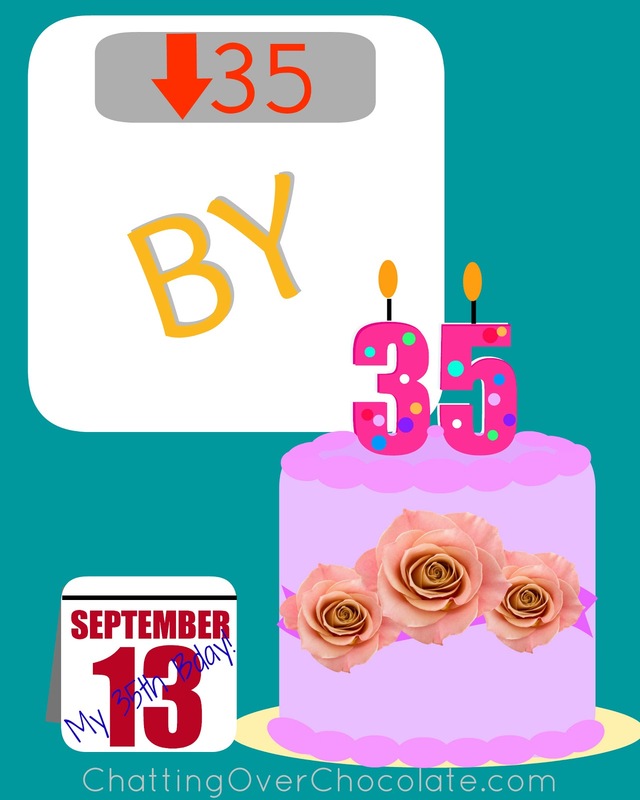 I am super excited for you and your 35 before 35 challenge! Looking forward to following along with your updates and tips, as I am trying to start taking better care of myself and exercising too!! Hope you have a fabulous weekend sweet friend!! All your gifts are sweet! <3 I love the photo album one! I should do something like that for my mom :) She'd love something like that! Looking forward to the new blog series! You go girl! I should do it along with ya! :) I'm slacking off on C25k, I need to get back to doing it, I was SO close! 2 weeks! Ugh!